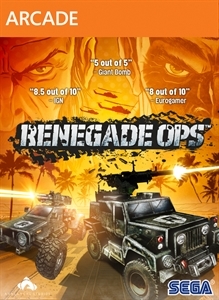 Cause carnage in single player mode as one of four playable characters each with their own unique vehicle across nine luscious levels. Awesome two player co-op as you team up locally on the same console. Use teamwork or compete for high scores. Or join your friends online with up to four player online co-op. True multiplayer has never been so much fun or caused such carnage.